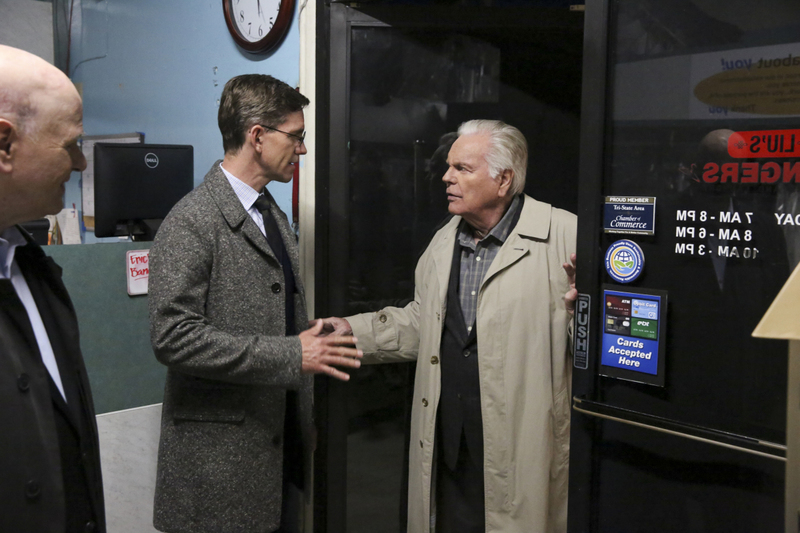 Jimmy is torn between family and work after his father-in-law, Ed (Larry Miller), asks him to tamper with evidence from NCIS’ current murder investigation. Also, Ed’s poker buddy, Anthony DiNozzo, Sr. (Robert Wagner), offers to help with the case. Guest cast: Robert Wagner (Anthony DiNozzo, Sr.), Larry Miller (Ed Slater), Francois Chau (Henry Deng), Ping Wu (Peter Liu), Stephen Caffrey (Kevin Braddish), Jacob Zachar (Stevie Slater), Connie Jackson (Elaine), E-Kan Soong (Kenneth Dent), Alexandra Bokyun Chun (Phyllis Wu), Cecile Cubilo (Cosette), Shea Vaughn-Gabor (Jen), Jason Marrs (Joe). Written by Scott Williams. Directed by Diana Valentine. Air Date: Tuesday, March 5 (8:00-9:00 PM, ET/PT) on the CBS Television Network.